Sign Authority, Inc. is a full service custom sign shop. 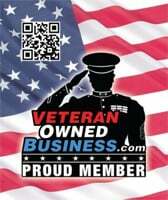 Veteran and locally-owned and operated. Proudly serving North Texas' signage needs since 1998. ​​​Free graphic design included with every order. Order custom printed banners for businesses or special events. Any size! Any design! Dimensional letters and logos...a classic to make your business stand out. We offer traditional and contemporary designs. High impact floor design and installation. Indoor or outdoor applications. Choose our team of professionals to design and install your next vehicle wrap. We can wrap anything….from cars to tractor trailers. Whether decorating your home or branding your business, we've got your custom wall wrap. ​No wall too big or small. Outdoor monument signs built to last. Because you used the right words, the right layout, the right font, the right colors to convey your message effectively. You came to Sign Authority! Sign Authority is a Native American, U.S. Air Force Veteran, locally owned and family operated business that has been providing quality signs and sign services to North Texas since 1998. Because we are not associated with ANY franchise, we are more competitive, creative, and responsive when addressing your specific needs and requirements. Only the BEST: Sign Authority uses only the best tools and materials when designing and manufacturing signs. We learned long ago that using quality components results in a far superior product that looks better, lasts longer, and functions more effectively. Our passion for quality ultimately translates to more satisfied customers, fewer maintenance calls, and enormous pride in the work we do on every job, everyday. Of course, we do provide a full warranty on everything we do, but due to our selective use of quality components and meticulous attention to detail, our customers will tell you that we rarely are called out to correct a problem. ​So what products do we use then? We exclusively use high-quality products from nationally recognized and industry leading companies like 3M, Oracal, and Avery. These companies offer a wide range of specialized products based on the particular requirements of every sign, car wrap, or decal. Sign Authority has the knowledge and experience to determine the right product, the right method, the right installation...to ensure our customers receive the longest lasting, most effective sign possible ... the FIRST time ... EVERY time. ​Our Team has what YOU Need: But what do you need? ​A talented team of creative professionals that are quick to deliver high-quality, long-lasting signs and graphics. With over 30 years of combined experience, we are truly a custom sign shop. There is no job too big or small. We have a wide selection of sign types to demand attention and communicate your message. We have provided signs and sign services to thousands of North Texas customers. We have the creativity, knowledge, and skills required to ensure you receive the best sign for your business. Whether it’s a building sign, car wrap, or eye catching interior sign...WE are the experts. Serving All of North Texas: ​Located in Garland, TX - Sign Authority creates eye-catching signs, graphics, monuments, and more for local businesses in Dallas, Fort Worth, and the surrounding DFW Metroplex. We've done signs from McKinney to Rockwall, Lewisville all they way to Rowlett, and everywhere in between. Whether you need a banner in Frisco, a vehicle wrap in Wylie, an interior wall wrapped in Plano, or a monument sign in Allen, let Sign Authority be your partner in the sign business. Get a quote, stop by the studio, or browse our portfolio for ideas on how we can make a memorable sign for you. No Job too Big or Small: ​No matter what your signage needs, we will give you a turnkey solution. 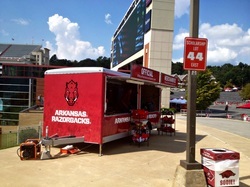 We’ve made signs smaller than a business card up to enormous stadium wraps and everything in between. We have the ability, experience, knowledge and confidence to design, produce and install just about anything you can envision. Let our team survey your site and recommend the right size and type for you. Whether your needs involve a large scale project or a simple banner, your order is important to us. We provide the same quality and attention to detail for new customers and returning customers alike. Our goal is to be your go to signage team and develop a long term relationship with all of our customers. "The Process”: At Sign Authority, we realize that oftentimes signage is a last minute emergency and many customers have not been involved in “the process” before. It’s our goal to make your quest for the perfect sign as painless and easy as possible. We'll set up a site visit to discuss your ideas and requirements, in person, along with the physical characteristics and limitations of your location. We’ll go back to the shop and design a tailored solution for your site for your review and input, electronically. This initial design may involve several iterations until we find the perfect solution for you. Those services are included free of charge. We will get to work right away fabricating your signage and scheduling the installation. We will keep you involved throughout the process so you know the status of your order at all times. Our staff is with you 100% along the way. Our goal is complete satisfaction with your sign on installation day. We LOVE happy customers! ​And don’t worry, if you need a logo or change to an existing logo, we can help! Our experienced graphic designers will be happy to work with you on your logo needs. ​Have a special one-off project that you've been wanting to do? We LOVE special projects. Give us a call and let us put our design and fabrication knowledge to work for you today!